Let’s be honest some SEO Companies show you a GOOD ranking report, but they are still hard to find. With all the new updates with Google, a SEO Company can show you examples of a good ranking report, but there are very few companies who utilize a SEO Company feel they are one of them. Even the bigger fortune 500 companies are losing market share due to all the changes that Google has rolled out. Are marketing directors getting fired because of this? Yes? Are SEO Companies getting fired left and right? Yes. Tons of people are getting fired over the bad “Ranking Report”. So how do you find a company with a good reputation that you will feel comfortable with? in their rankings. Small to medium size business aren’t the only ones losing position, traffic and sales. The Targets, Wal-Marts, Amazons, of the worlds have also lost position. The difference is that bigger companies can diversify their marketing better to subsidize the loss. It’s unfortunate for SEO Companies and investors in SEO service that we live in world where clients can rank in position 1 for months, a year, year(s), and within a blink of the eye both of our rankings are gone. Could it have been controlled probably not, will your company lose business? Absolutely. Will the SEO Company be blamed? Yes. Will the SEO Company lose business? Just as much as you the client are probably losing. Google has done a great job making the SEO Company the scape goat for the changes they make. The reason why they make the changes is to generate more Pay Per Click sales. It gives the perception that SEO is unstable, while PPC is the only real form of having a great “Ranking Report”. With SEO like everything else there is a calculated risk involved. There is still such thing as a “good ranking report” to be had, the problem is both parties have false expectations. The SEO Company can only work a certain number of hours a month on an account based off the clients price point. If you drop due to a change you don’t get more work done without investing in more hours. No different than any other business model out there. So Who has a Good ranking Report? Are rankings impossible to be had? No not at all. Do they require more work to obtain? Yes? Is there a longer window now to get the rankings back, or for the first time. Absolutely. It’s just harder and more expensive than ever. At Noxster we have worked with a ton of new companies who we have recovered there rankings for the better, but the recovery process takes 4-6 months to see tangible improvements. 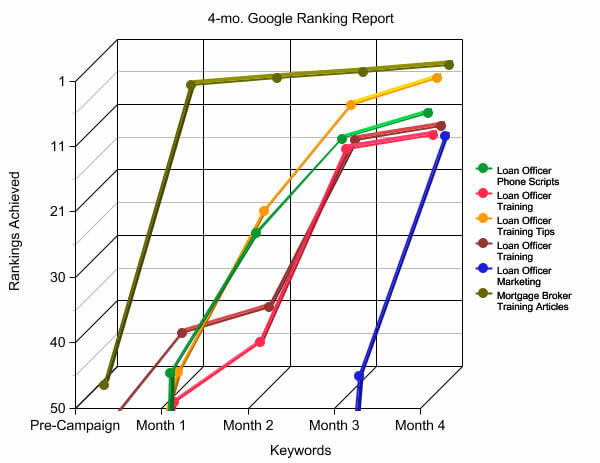 Ranking reports are a process and an investment. Obviously with so many SEO Companies out there it is tough to continue with a certain investment over a period of time without human instincts kicking in as trying to see what else is out there. As long as there you are seeing gradual improvements after an update or the start of your SEO campaign you shouldn’t push the panic button. Ranking Reports are just like Report Cards you have to study hours and hours before the test to get the A’s. The A’s just don’t come over night. If you are with a reputable SEO Company give them time to do their job and try to exercise some patience. Make sure you and your SEO Company have a plan A , B, and potentially C. Matt Cutt’s has come out and said that not everyone can recover fully from a penalty in which case a new URL needs to be integrated. 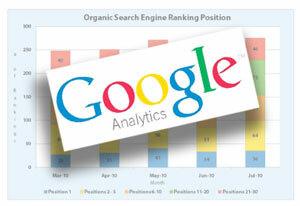 Ranking reports are in the eye of the beholder and online marketing takes time. Exercising patience puts both parties in a position to put together a ethical SEO Campaign that will eventually lead to a GREAT ranking report.